Phase One, high-end medium format manufacturer, has cemented its commitment to the Australian market by appointing a new Asia Pacific Marketing and Business Development manager. Celeste Walker has been with Phase One since 2015, working marketing roles with the Danish company in Europe up until her appointment to the Asia Pacific region this year. Up until August last year the company’s expensive high-end digital backs and systems were distributed and marketed by Sydney distributor and reseller L&P, which unfortunately closed down. Specular, a Melbourne professional distributor and reseller, has since assumed distribution which timed nicely with opening of its new Sydney showroom – filling an L&P-shaped gap in the city’s market. However, Phase One will undertake a more direct role in, well, marketing and business development in Australia. Celeste says its the medium format experience – the unbeatable image quality – that encourages photographers to invest in Phase One. ‘The Phase One medium format experience evokes a classic form of photography. Like the Old Master’s method, it’s more considered, producing fewer but higher quality images at the end of a shoot,’ she said. 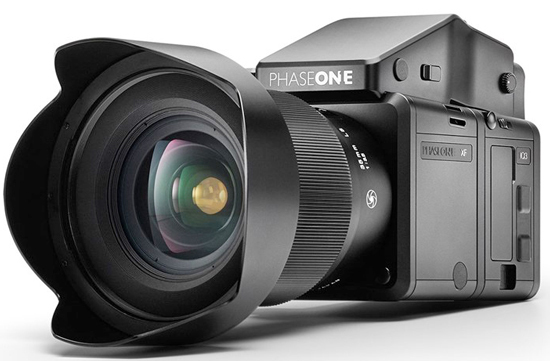 But most photographers can only dream of having the money to invest in a Phase One system. As is the case with most medium format cameras, the systems are expensive – costing as much as a luxury car. However, Specular offers a rental service for photographers chasing medium format quality. Specular hires Phase One XF Cameras with five choices of backs: IQ3 100-megapixel, 80-megapixel, 60-megapixel, and 50-megapixel, and IQ180 80-megapixel. Prices range from between $750 per day to $950, upwards of $1125 for the weekend, or from $3000 a week – depending on the model. Lenses can be rented for an additional sum, along with other accessories. Additionally, the products can be arranged for a demo. Realistically, Phase One gear has appeal to a niche market of photographers. However, it’s Capture One Pro software has more broader appeal, emerging as a serious alternative to Adobe post-processing software. And as the software giant implements changes that seemingly works against its customers in the almighty pursuit of profit, more photographers have shown interest in Capture One Pro. The software supports over 400 cameras, providing photographers a post-processing workflow solution that doesn’t require renewed monthly payments. This entry was posted in News and tagged L&P, medium format, Phase One, specular by Keith Shipton. Bookmark the permalink.